Play JP Sports | Play The Best! This Friday, 3/15, we will be launching a new AD FREE version of our app. Once it is live we'll post the link to download. Android users will need to delete the old app and install the new one. iPhone users only need to run an update. Be sure to pick up your comemorative tournament shirts this weekend! Shirts are dri-fit and feature all the teams on the back! Battle of the Borders, Tri-States and Elgin Swing for the Rings. 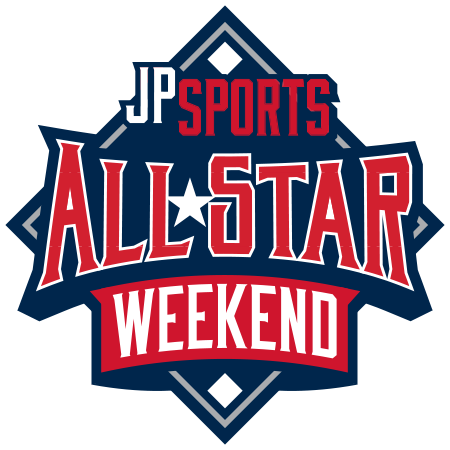 Congratulations to everyone who competed in the Easter weekend's JP Sports tournaments. The champions for each age group are listed below! Kim Rozak Simios Way to go Phenom! A BASEBALL VACATION FOR THE WHOLE FAMILY!!!! Carol Coates Smith When will the kids be chosen? Kylee Vasquez Do they have a 15u team? When is a Baseball Tournament not just a Baseball Tournament? Mike Strelow This place is amazing. Great tournament this weekend! Congrats to the STL Bandits for winning some hardware this past weekend at the Slugger Early Bird Classic! Such a great group of boys on an off the field! Galesburg Xtreme enjoyed playing you!